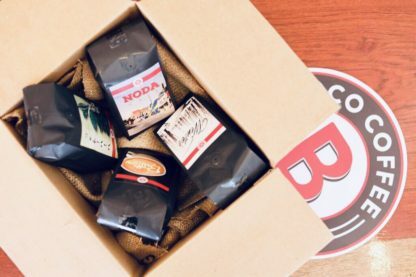 Each month, your personalized coffee subscription will include your choice of three (3) 12 oz. bags of our coffee plus a freebie, such as a sample of another roast to try, some of our Cascara Seca Cherry Tea or K-Cups. We fresh roast the coffee just before it ships and have it waiting at your doorstep every month. Enter code MAILCOFFEE at checkout to receive free shipping on your subscription orders!